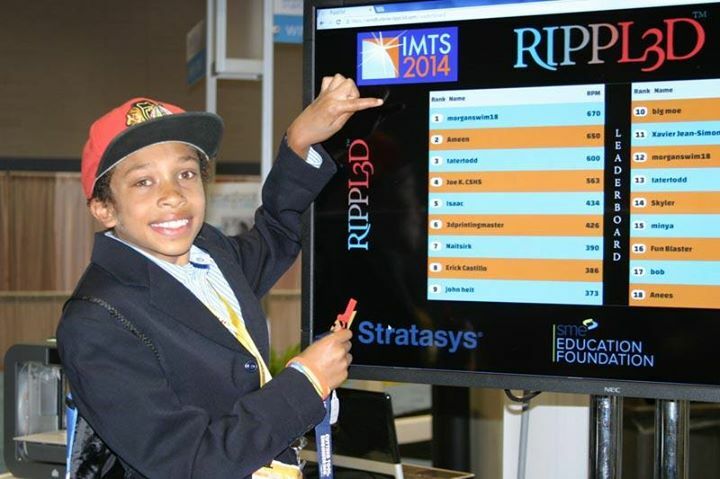 This year at IMTS 2014, we had a competition in the Student Smartforce Summit to see who could design and create the most effective 3D-printed wind turbine, courtesy of Rippl3D. Over the course of the week, the contest area within the Make It! section of the Summit was swamped with eager, competitive students manipulating the angles, thickness of blades, and the number of blades of the turbine. The students then had the opportunity to see their turbines printed and put to the test. 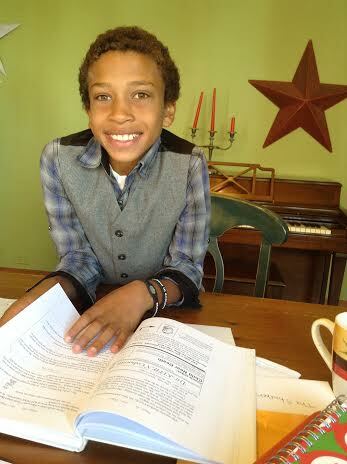 Well today, we are so excited to introduce you to twelve-year-old Morgan Sanders of Chicago, IL– the overall winner of the 2014 Wind Turbine Challenge! Beating out six days worth of competitors who were each allowed unlimited attempts, Morgan created the most effective wind turbine in just two attempts! Not only was the contest a fun way to learn STEM hands on, Morgan explained how he believes the skills he used in the wind turbine challenge will help him achieve his dreams. “I’ve always wanted to be a meteorologist,” he says, “ever since I was little I’ve liked storms.” He went on to explain that math skills and understanding of wind patterns involved in the turbine challenge are the same ones he hopes to use in the field someday. Morgan posing with the scoreboard! We’re sure that with such creativity and determination, Morgan has great things ahead of him and we can’t wait to see all he accomplishes. Great job, Morgan! Thank you to you, and your dad, for taking time out of your busy schedules to join us in the Student Summit, and we hope to see you in 2016! ‹ News recap – Happy #MFGDay14!